The Indoor Football League (IFL) is proud to announce the Vidswap.com Players of the Week for Week 7 of the 2019 IFL season. 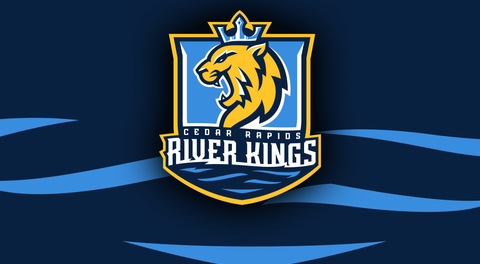 The Cedar Rapids River Kings could not take the title of in-state champion away from the Iowa Barnstormers in Week 7 falling 59-48, however KR Marquel Wade did his best to try. 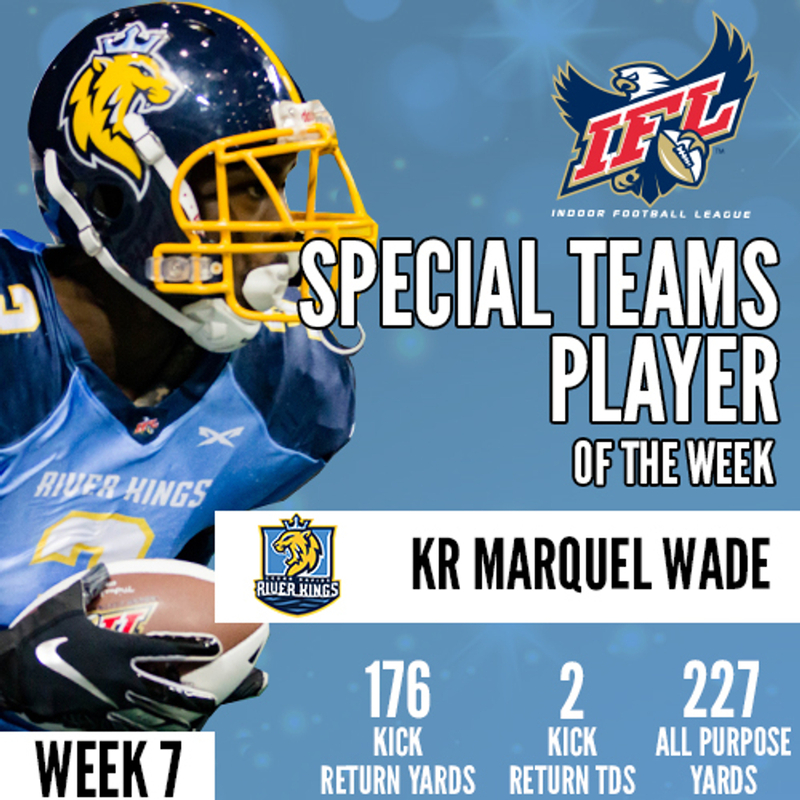 One of the IFL’s leaders in all-purpose yards, Wade returned two kickoffs for touchdowns against the Barnstormers. Midway through the third quarter, Wade burst through the Barnstormers special teams unit and returned the ball 50 yards for a touchdown. He did it again midway through the fourth quarter. Wade finished the game with eight kickoff returns for 176 yards and two touchdowns. He also added 51 receiving yards and 227 all-purpose yards. Wade and the River Kings travel to San Diego to take on the San Diego Strike Force in Week 8. The Sioux Falls Storm moved past the Bismarck Bucks 64-31 in Week 7 and used a strong rushing attack to lead the way. RB Calen Campbell became the first running back to top 100 yards in a game this season as he gashed the Bucks defense and scored four touchdowns. Campbell had rushing scores of 3,3, 33 and 10 yards. The former Lindenwood University RB finished his night rushing 16 times for 110 yards and the four touchdowns. He also added 27 kick return yards. Campbell’s 110 rushing yards are the most by any player in an IFL game this season. Campbell and the Sioux Falls Storm have a bye week in Week 8 before returning to host the Iowa Barnstormers on April 20. The Nebraska Danger evened their record on the season at 3-3 after upsetting the Tucson Sugar Skulls 53-47 in Week 7. The Danger’s opportunistic defense came up big and DB Brandon Roe’s three interceptions could not have come at better times. Roe twice intercepted the Sugar Skulls in the endzone, ending potential scoring drives. He then provided the proverbial nail in the coffin as he intercepted Sugar Skulls QB Jake Medlock with less than a minute remaining, sealing the Danger’s victory. Roe’s three interceptions are the most in an IFL game this season. He also finished the game with three tackles. The Danger have now won back- to- back games and will travel to face the Green Bay Blizzard in Week 8.
usually Vidswap.com is a web-based video editing and analysis application for sports organizations specializing in game exchange, video sharing and game analysis. They serve HS, amateur, college, youth and pro teams. The Indoor Football League (IFL) began its eleventh season of play in the February of 2019. The IFL was created in 2008 from a merger between the Intense Football League and the United Indoor Football Association. Its teams are located from San Diego, CA to Green Bay, Wisconsin. For more information about all things IFL, please log on to www.goifl.com or call the league office at (804) 643-7277.